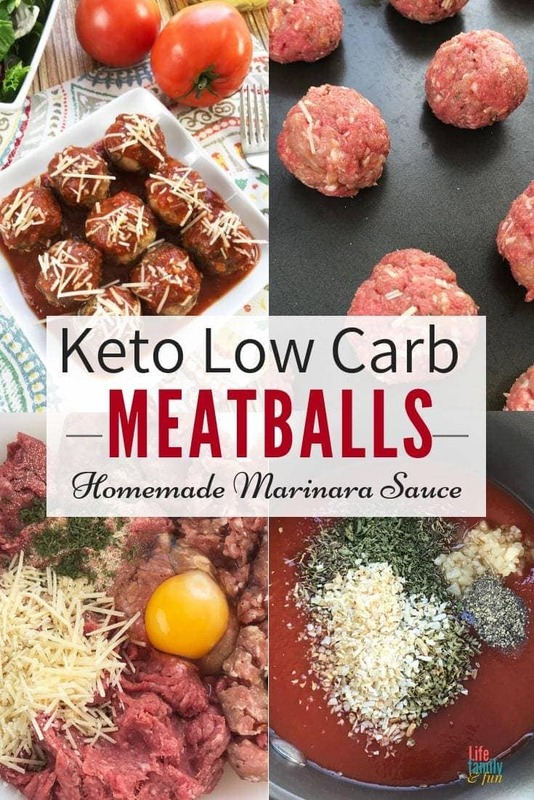 I’ve got a keto low carb meatballs recipe that will totally rock your taste buds. Who can say no to a good ol’ meatball? Not this girl, no way shape or form. But trying to find a meatball recipe that isn’t loaded with fat and grease? It can honestly be a bit frustrating, to say the least. Well, friends – today’s your lucky day! 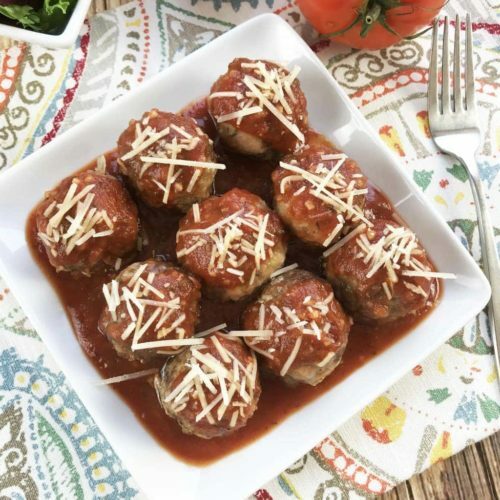 If you’ve got a hankering for some meatballs with some amazing flavor, this Keto Meatballs recipe is the one that you’ve been waiting for. Not only is it simple to make (c’mon, mixing the meat with your hands is so much fun! ), but they truly taste great as well. While there are a couple different steps to this recipe, once you get started it won’t take long at all to get the hang of it. Your family will love the flavor, and you’ll love that it is suitable for you and your keto-lifestyle. Once cooked, why not pair the meatballs with some yummy spaghetti squash? Don’t even get me started on how perfect the combination of the flavors is! 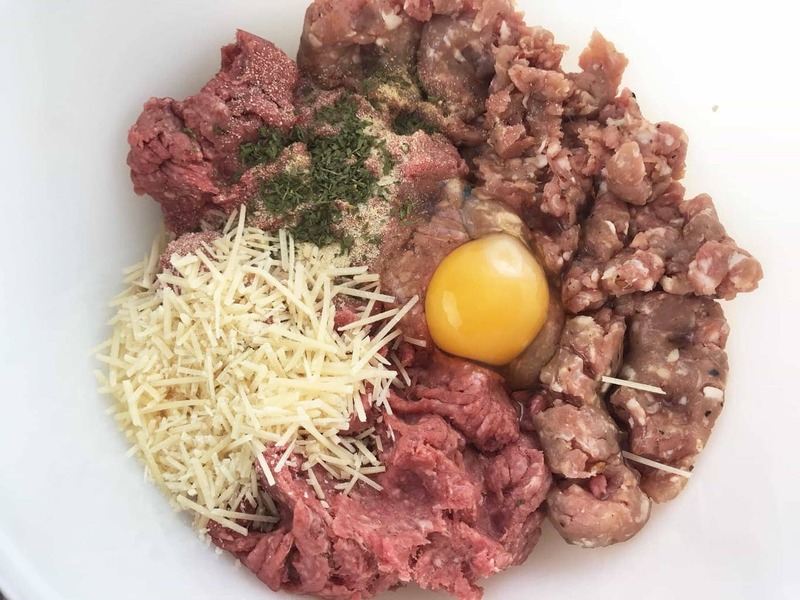 I can assure you that your taste buds will be on high alert once they have the first bite of these Keto Meatballs! The ketogenic diet goes way back to 1924. It was introduced by Dr. Russell Wilder at the Mayo Clinic. A keto or ketogenic diet is a very low-carb diet. It provides health benefits such as weight loss. I am not a doctor, so it’s always a good idea to consult with your physician before starting a Ketogenic diet. This book may help in your research. 2. Next, you will combine the ground beef, pork, shredded Parmesan cheese, 2 tsp. minced garlic, egg, oregano and salt & pepper. I used my hands to get everything mixed really well. 4. 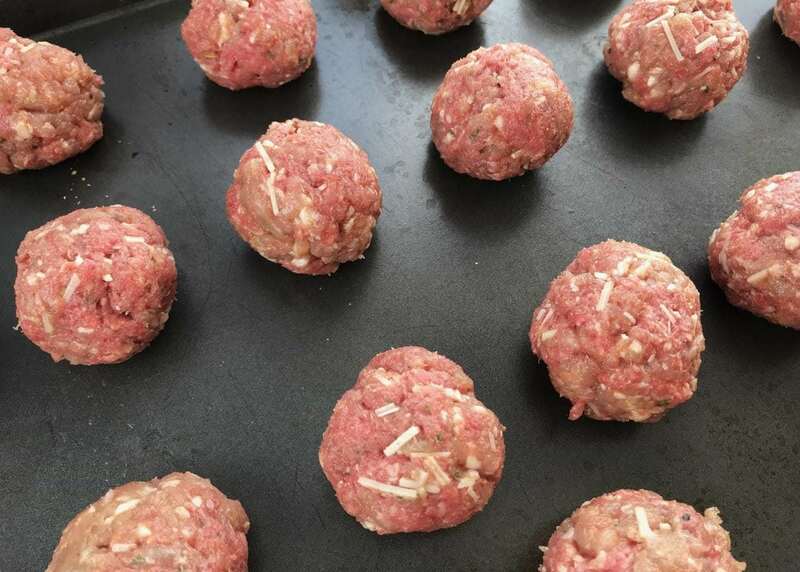 Place the meatballs in the oven and bake for 25-30 minutes. 5. 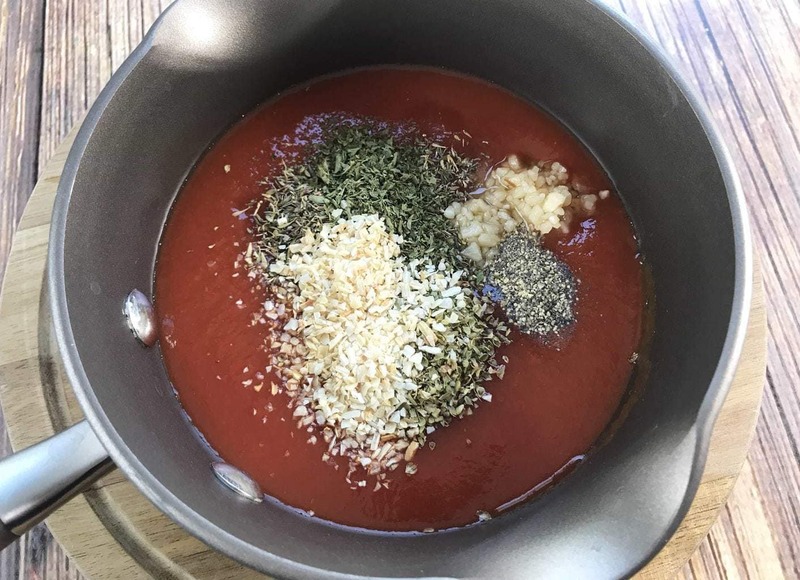 While the meatballs are baking, combine the tomato puree, minced garlic, minced onion, dried Oregano and parsley in a medium saucepan. 6. Heat through and let simmer while the meatballs are cooking. 7. 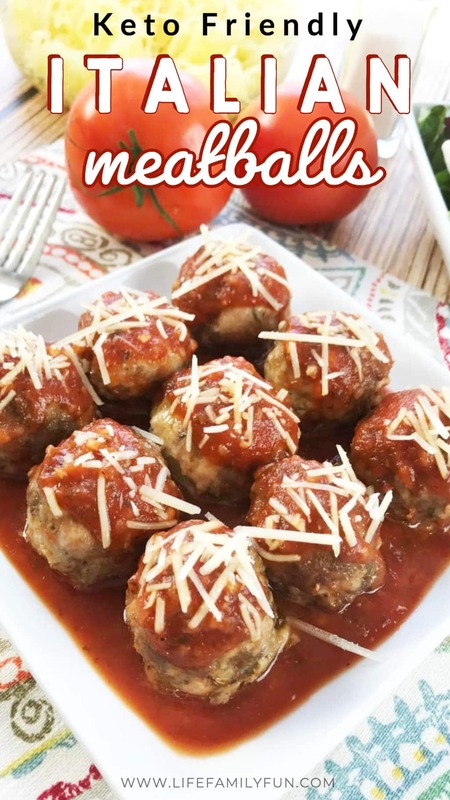 Finally, once the meatballs have finished baking, serve with the homemade marinara sauce and garnish with fresh shredded Parmesan cheese. 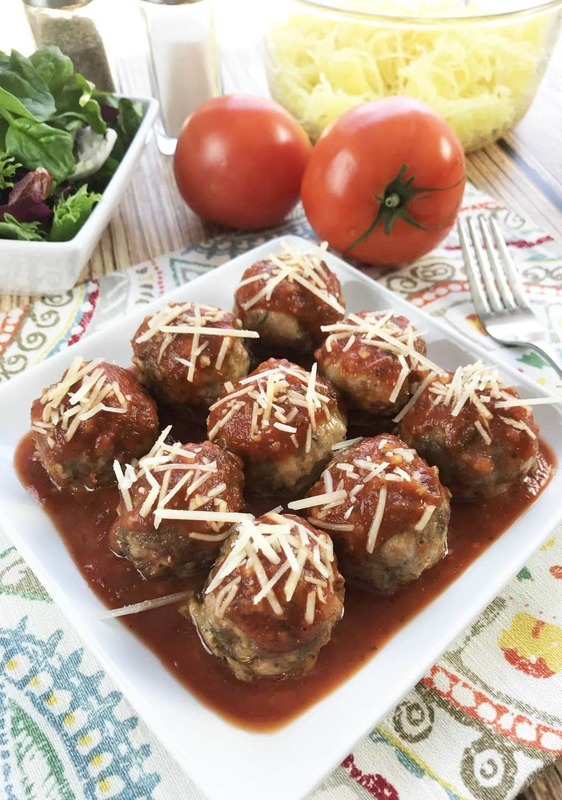 If you've got a hankering for some meatballs with some amazing flavor, this Keto Low Carb Meatball recipe is the one that you've been waiting for.